For many, the goal of life is to get as rich as possible with as little effort exerted as possible, as quickly as possible. For others, they’re happy to work hard, save as much as possible, and live comfortably. Other than winning a lottery or inheriting a considerable amount of money, the only way to build a huge stockpile of money with little effort is to invest. If you want to get rich quick with no work on your part, investing is your only solution. However, not all investments work out because of the risks involved. Also, it’s important to remember that the potential return of investment is related to the potential risk. This is referred to as the risk vs return tradeoff. Risk aversion refers to the efforts that people make to limit their exposure to uncertainty. This means that people try to avoid investments that aren’t a sure thing because the risk is so high. Therefore, people would rather accept a lower return which is guaranteed to work out in their favour, than chance everything in a riskier venture. Investment risk tolerance differs from person to person and depends on their personalities. 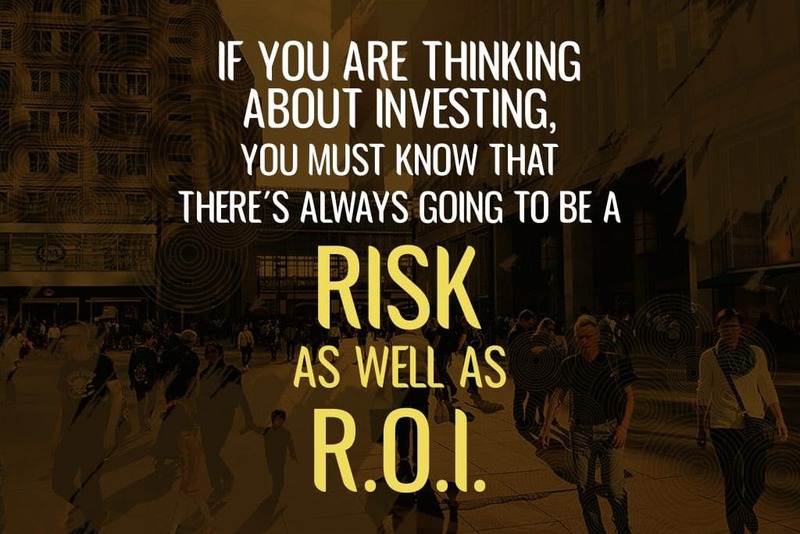 Some people enjoy the excitement of making risky investments, whereas others are more comfortable to work with investments that they understand, and know for sure will get a good return. If you struggle to understand certain investments and whether they will be worth the money, you have one saving grace: in many cases, but not all, the return is related to the risk. So in theory, if you want to make a boatload of money in an investment, you should be looking to investments which are riskier than others. This rule isn’t carved in stone, nor is any investment a guaranteed win. However, some have a better track record than others, so you could find investments that are a higher probability way to a good ROI when you consider their previous track record. When it comes to investing money, you want to do it properly. In fact, no one walks into an investment with money in hand, expecting it to fail. It is recommended that when looking for a new venture, to do all your research first. Make sure that you are comfortable with the risk involved, and that you don’t only focus on the possible return of investment. In all things financial: be careful, do your research, and ensure that you are comfortable with the risk you are putting your money at. Aureus Financial is a revolutionary wealth coaching, education and strategic advice business. We specialize in working with time-poor professionals and business owners to help them define their goals, create their financial road map, understand the language of money and hold them accountable to taking action. We are here to help make life easier so you can spend more time doing what you love.